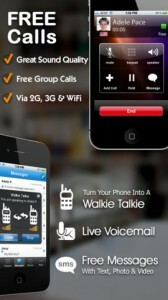 Dingtone is an iPhone app developed by Dingtone, Inc. 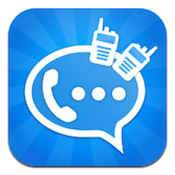 If you want a completely free way to send texts and make phone calls, Dingtone offers an ad-free user experience. Dingtone lets you make unlimited free phone calls to anyone over WiFi or the EDGE/3G/4G data network without using up any of your limited monthly cell minutes. This is great if you make a lot of international calls and are sick and tired of paying for calling cards. Dingtone is also great if you travel a lot to places that don’t have great cell coverage, but you carry a MiFi or similar device with you. However, it must be noted that to call your contacts, you must give Dingtone access to your contacts list. Still, letting Dingtone access your contacts is a small price to pay for how smooth and simple it is to start using Dingtone. There are no annoying registration hurdles to go through, and you don’t need to set up a username or password to get started. The only thing you need to do is enter your cell phone number in order to get an access code for using the Dingtone app. 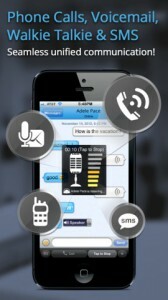 One feature that will really appeal to small business owners or project managers is the conference call features. 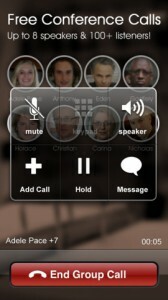 You can use Dingtone to set up free group conference calls up to 8 people. While only 8 people can be talking, you can have over 100 people listen in, making this great for webinars or virtual training. With good call quality, easy set-up, and an attractive design, Dingtone is well worth checking out. 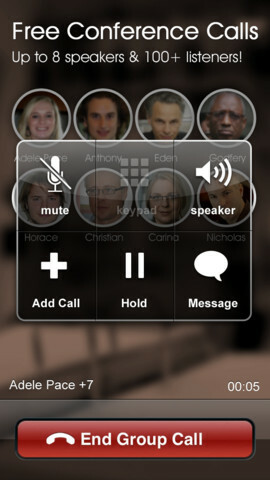 If you want to save some cash or easily set up a conference call, give Dingtone a spin! Dingtoneis compatible with iPhone 3GS, iPhone 4, iPhone 4S, iPhone 5, iPod touch (3rd generation), iPod touch (4th generation), iPod touch (5th generation) and iPad. Requires iOS 4.1 or later. This app is optimized for iPhone 5.